Creating Memories of a Lifetime! 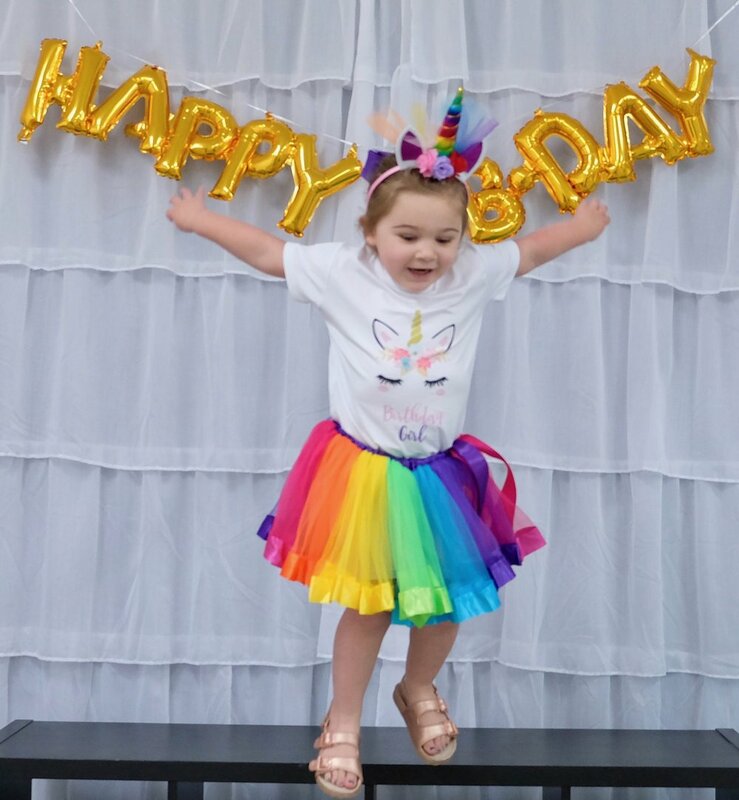 Dancing into the Best Birthday Parties EVER! Throw your next party at Hello Dancer! Parties are for up to 20 kids ages 3-12. We provide the party place, and tons of dancing fun! Leave the stress and the mess to us - we've got you covered. Or create your own...If you can imagine it, we can do it! The Magic Package 1 — 2-15 kids — $225 (Member Price) or $250 (NonMember Price) *See Below for what is included in this package. Customize the Magic Package 3 — Starts at $225+— Magic 1 or 2 package + Customization on Theme, Props, etc. **The Amazing Package (We handle EVERYTHING - all you do is show up!) — 2-20 Kids — $400 (Member Price) $450 (NonMember Price) ($10 each additional kid after 20)— ALL Inclusive Package - We will send you a questionnaire to figure out what the party will be about and once we have your answers we will handle it from there!! We Take ALL of the stress out of the party and handle it all! Includes everything listed below as well as Invitations, birthday themed cake or cupcakes, ice cream, party snacks, drinks, all decor, planning, set up, clean up - EVERYTHING! Studio Rental — Are you looking to just rent the Dance Studio without any of the frills, fluff, and coordinated games — We can do that too (min. 2 hour rental) - Fill out the form below and mention you just want to rent the Studio and we can talk! ***$50 Non-refundable deposit, to be applied towards the total cost of the party is required to hold the time and date of the party. A completely Customized Timeline based on the Birthday Kiddo’s favorite things for the party! Dancing, Games & Ton's of Birthday Fun all coordinated and run by US! 1.5 Hours of Party Fun! *Special Items/Props/Themes Upon request (See Add ons for cost)! Photography for the event — $50 for 5-8 Professional Quality Photos, $100 for 9-13. Edited and Delivered to you Digitally within 5 Days of the Event. We encourage shopping local for all of your catering and party needs. If you have any questions about who we would recommend -- please ask! How many kids at the party? Thank you for thinking about using Hello Dancer and connecting with us here! We will be in touch in the next few days to talk further about using us as your party/event location!